Peachtree Publishing Company, 9781561459001, 36pp. 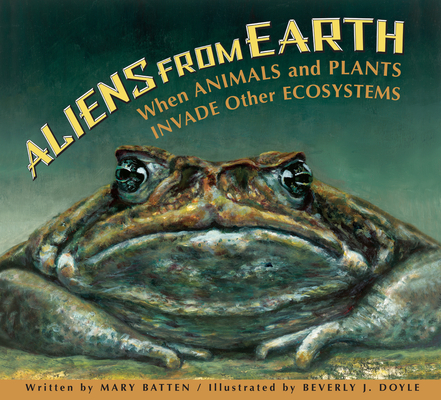 Batten introduces readers to the serious and ongoing environmental problems caused by invasive plant and animal species. Describing various examples--from the accidental release of the gypsy moth into the United States to the deliberate introduction of rabbits to Australia--the text shows how these foreign intrusions have disturbed the delicate balance of local ecosystems. Back matter includes a glossary and list of ideas that provide more information and ways to minimize human impact on local environments.